Raamatu peategelaseks on Baron Trump, kes väsinud luksuslikust elust,läheb seiklema Venemaale ja Arktikasse,otsides sissepääsu maakera sisemusse mille ta ka leiab.Kohtab seal igast veidraid ¨rasse¨.Raamatus figureerib ka keegi ajarändur Don,kelle jagatud teadmistest seiklus alguse saab.Tänapäeva poliitikaga saab seal raamatus kirjeldatuga mitmeid paraleele tõmmata.Raamat on kirjutatud 1890..
Fortune tellers, soothsayers, seers, prophets, you name it, have been scattered throughout all of human history—but it is only in our modern technological times that many of the world’s greatest scientific minds are beginning to come to an eerie conclusion that, indeed, information about present events are able to be transmitted to the past—that in the past only “selected” people were able to decode and record due to their genetics, but in the future could be done by Artificial Intelligence super computers. These “selected” people able to decode future “messages”, also, operate in great secrecy never divulging their methods choosing, instead, to “sprinkle” what they’ve discovered into popular texts—that in the past were mostly religious works, but in today’s world is being done through various mass media means. 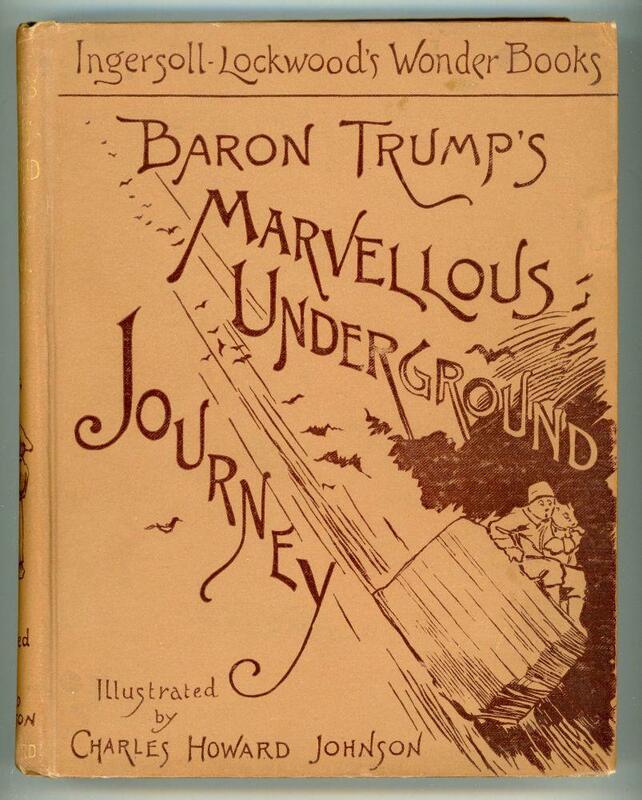 And President Trump is no exception to this “time mystery” either, as in the late 19th Century, an American lawyer named Ingersoll Lockwood (the First Cousin of Morgan Robertson who wrote the novella Futility(predicted Titanic), the Great Uncle of Chris Carter who created the Lone Gunman television series(predicted 9/11), and the Third-Great Cousin of David Booth who predicted the American Airlines crash) suddenly began writing novels—the most important for this discussion being Baron Trump's Marvelous Underground Journey and Travels And Adventures Of Little Baron Trump And His Wonderful Dog Bulger and 1900:The Last President. The essence of Lockwood’s character Barron Trump is in detailing his travels through Russia and the Arctic to find the opening to the “interior world” of our planet where he passes through the strange countries of the Transparent Folk and the Rattlebrains, among others—with his book 1900: Or; The Last President further describing the end of the United States due to the rise of socialism and populism that causes chaos when these two forces clash and wherein he describes “a terrible night for the great City of New York” when, on the night of Tuesday, 3 November 1896, the “city staggered under the blow like a huge ocean liner which plunges, full speed with terrific crash into a mighty iceberg, and recoils shattered and trembling like an aspen” (note the Titanic reference too) as a great mob descended upon The Fifth Avenue Hotel that was “the first to feel the fury of the mob”—and which today is the current location of Trump Tower.